Brent Celek caught three passes for 13 yards in Sunday's regular season finale against the Cowboys. He finished the season with 13 receptions for 130 yards and one touchdown. 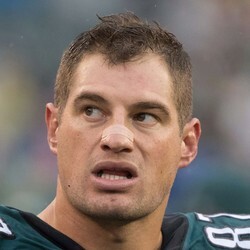 Celek is signed through the 2018 season. He will likely retain the same role as a back up behind Brent Celek and Trey Burton.